With over 240.000 visitors, the IFA in Berlin is the biggest consumer electronics fair in the world. The 1000m2 hall for Deutsche Telekom, designed by Meiré und Meiré, showcased the innovative projects that Deutsche Telekom had launched in the past year, and the technologies that will be available to consumers in the years to come. 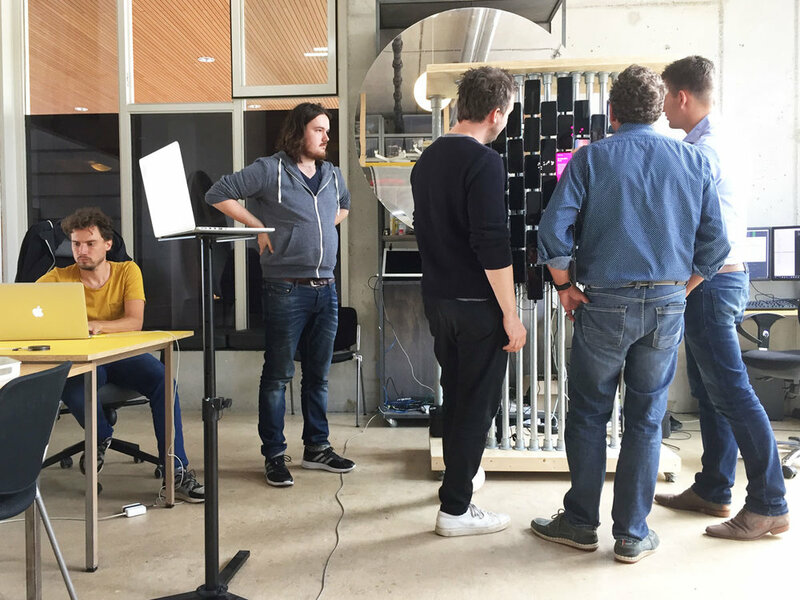 As Black Mountain Workshop, we created a multi-screen installation explaining the advantages of 5G technology. We used 59 Samsung S8+'s to form a continuous touch screen with an interactive particle system and multiple information hot spots. The standalone installation has since been used by the 5G team at the Bonn headquarters and at various other fairs. The Black Mountain Workshop is a collective of interaction designers, art directors, animators, producers and developers working together on Experience Design in any shape it may take. this project was created as part of the black mountain workshop for Meiré und meiré.